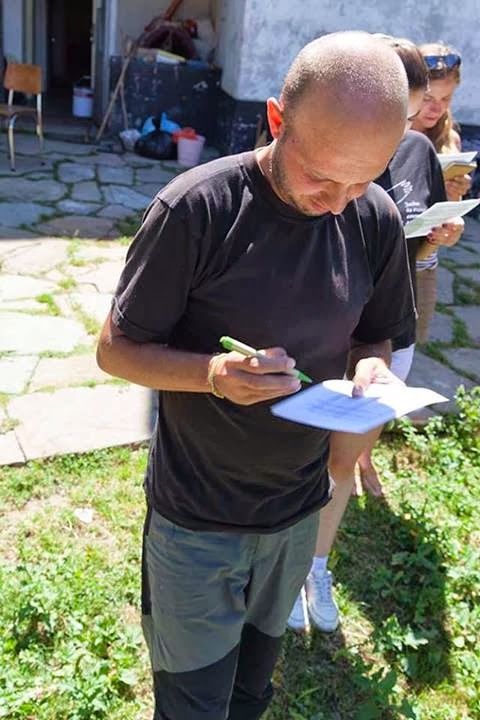 About a month and a half after the Green ID training course held in the village of Partizani, in the Danube Delta, Romania, one of the Bulgarian participants realized an activity from Green ID again during the For the Balkan Student Camp. The camp was organized by the Bulgarian Biodiversity Foundation and took place in the Centralen Balkan National Park, Bulgaria. 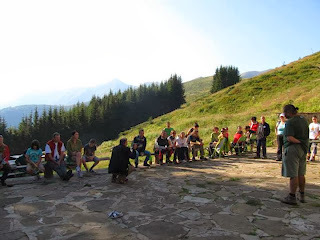 It was aimed at the nature and ecological education of students and young people. Some twenty students took part in the activity My Ecological Footprint. The participants were excited to learn about the concept of the ecological footprint; they enjoyed the game and the discussion that followed proved that it has triggered their imagination and evoked a reaction. In the end of August My Ecological Footprint was realized again, this time on the Bulgarian seaside, during the nature conservation brigade “Atanassovsko Ezero 2013” organized by the Bulgarian Society for the Protection of Birds. 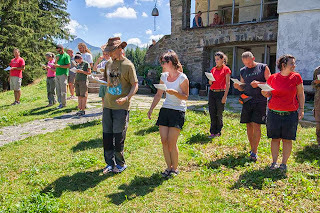 Thirty of its participants took the challenge and found out where they stand in terms of sustainability. 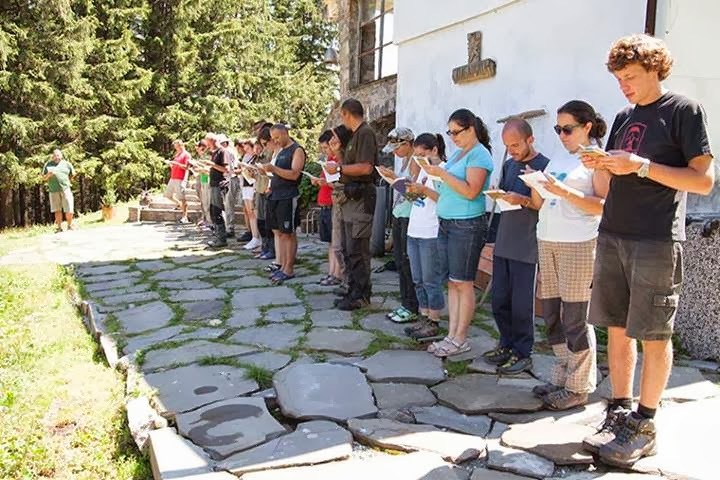 The format of the activity was well accepted though the following discussion revealed some adjustments are to be made if it is to be realistic for the Bulgarian conditions. 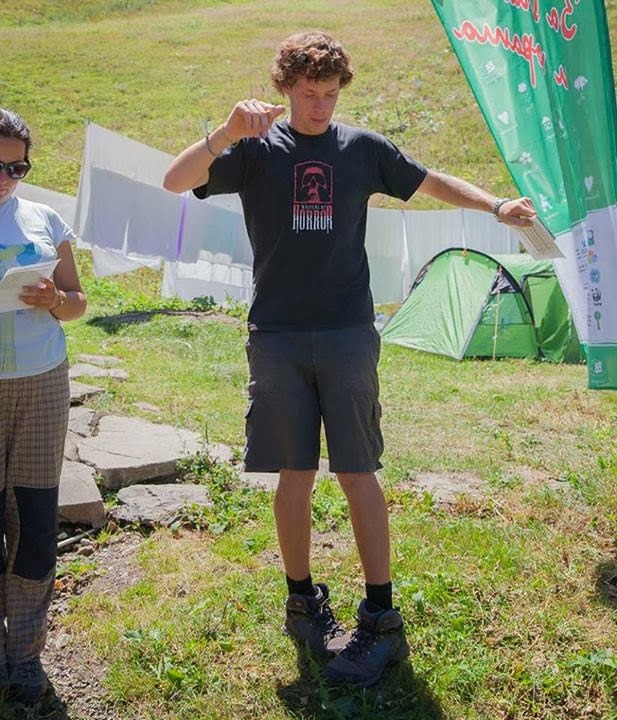 Alexander Marinov, or Sancho, as his friends call him, says he enjoyed doing the activity in Romania and therefore decided to bring it back to Bulgaria. 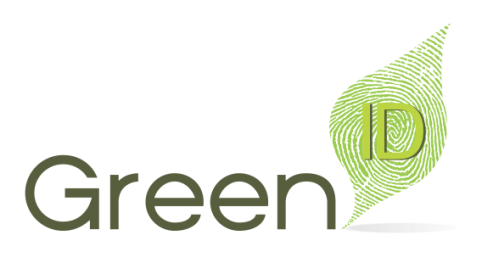 According to him it is a good tool to stimulate young people to think more about sustainability. He is determined to realize the activity again in upcoming nature conservation events in Bulgaria.